I have been making these Snickerdoodles since I was a teenager, and they are my family’s favorite cookie. This is the favorite cookie for college care packages, Christmas cookies, summer camp care packages, or just because my family wants some cookies. These cookies are soft and chewy, with a nice cinnamon flavor. 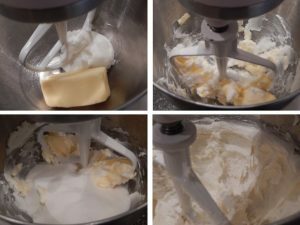 Preheat oven to 400 degrees F. In a large mixing bowl, cream together shortening, butter, and 1-1/2 cups superfine sugar for about 5 minutes until light and fluffy. 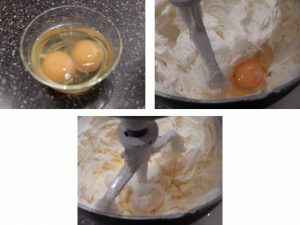 Add eggs one at a time, blending until completely combined. Meanwhile, in a medium bowl, combine flour, cream of tartar, baking soda, and salt; set aside. 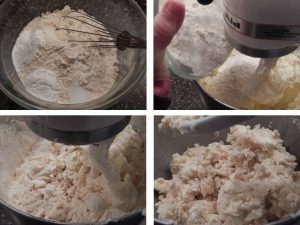 On mixer’s lowest setting, add flour to creamed mixture, mix until flour is incorporated, then increase speed to medium-low until dough is completely incorporated. 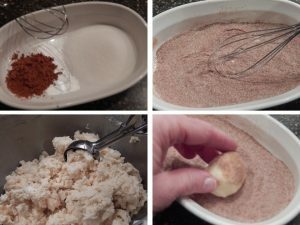 In a small bowl, mix together 3 Tbsp sugar and 1 Tbsp cinnamon. 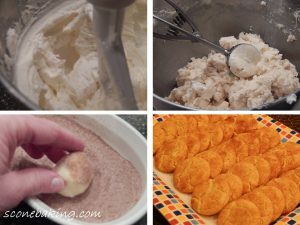 Using a #40 cookie scoop, or 1-1/2 Tbsp, shape dough into 1-1/2″ balls; roll into cinnamon-sugar mixture covering completely. Place on a parchment lined baking sheets 2-inches apart. Bake at 400 degrees F. for 8-10 minutes. 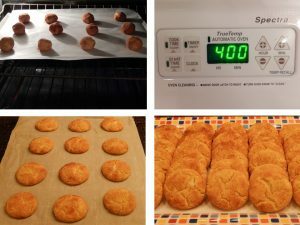 Remove cookies together with the parchment paper from the baking sheet onto a cooling rack. Let cool completely.